If you have been an avid reader of HMU for sometime then you know the name of GRIMM UP NORTH and everything they have done from screenings to festivals. Well folks they are also in the movie making business and have recently finished up their crowd funding for their third project HABIT. Now they are set to begin filming in Manchester and we are ecstatic to see the feature come to life. HABIT involves a man who is drawn into the weird and grotesque world of the Manchester underbelly. It is a screenplay that has been adapted from the text of Stephen McGeagh. A new still has been released for you to see and we should have more updates from the production in the near future so stay tuned. The Manchester set, Manchester produced, Manchester cast, HABIT; a contemporary psychological horror, starts a 4 weeks shoot in Manchester this week announces GrimmFest Director and producer RACHEL RICHARDSON JONES, on behalf of Habit Films “This is our third film in as many years, out of GRIMM UP NORTH / NOT A NUMBER stable, and we are thrilled to be making it here at home in Manchester. This is one of the finest cities in the world, and although much of our industry is based in London, I am so excited to be making HABIT, here at home” said Jones. Adapted from the original text, the highly acclaimed novel by Stephen McGeagh, the film is to be directed by, Jones’ partner in NOT A NUMBER, Simeon Halligan. Halligan was drawn to the story 5 years ago, but with filming commitments and running Manchester’s Grimm Up North Festival’ “there has been little time until now, to focus all my attention on the screenplay, but I am thrilled that we are going to start filming soon” said Halligan. 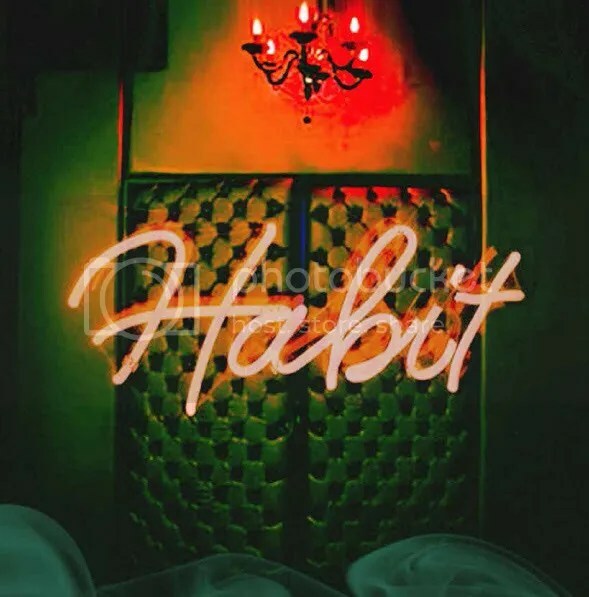 “Habit is a sensuous, dark, underworld of a film, set & to be filmed in and around the Northern Quarter”, continued Halligan, “seeking out the back streets and the last vestiges of the way it used to be”. Interiors will be shot in the Pie Factory studios at Media city, Salford, the hub of film, TV and media” Halligan announced, “We have cast & crewed from within Manchester, where it’s been possible, we love this city and want Manchester to feel they can own the film, a real coming together of Manchester’s talent – both in front of and behind the camera. We have brought together an amazing pool of Manchester talent, he continued, Elliot James Langridge [HOLLYOAKS, NORTHERN SOUL & up and coming THE NO HOPERS] and Jessica Barden [PENNY DREADFUL, FAR FROM THE MADDING CROWD, THE LOBSTER], William Ash [THE TUNNEL],Roxanne Pallet [EMMERDALE] and Andrew Ellis [THIS IS ENGLAND]. Habit portrays a dark, troubled, underbelly of Manchester, where the addicted prey on the weak and lost! Langridge plays Michael, one who is lost, sharing a flat with his mate Dig [Andrew Ellis], who rarely bothers to get dressed, Michael spends most of his days at the Job Centre until, he meets Lee [Barden]. Lee works at a massage parlour, and Michael goes along one night, only to witness the violent death of a ‘punter’. The owner of the business offers Michael a job and he accepts. As he experiences blood-drenched flashbacks, Michael feels himself being gradually sucked into a strange twilight world that he doesn’t understand but is irresistibly attractive. Habit shoots on location in Manchester for 4 weeks from the 8th of May. Photo call day 1 shoot, location to be announced. Habit will premiere at GrimmFest 2017.